It’s coming up to birthday time of year in our house. Jonas and Caspar have been hard at work writing their wish lists, and we have been noting the items with interest. Caspar’s list is minimalist, I guess he is ensuring that he’ll get his top favourites. 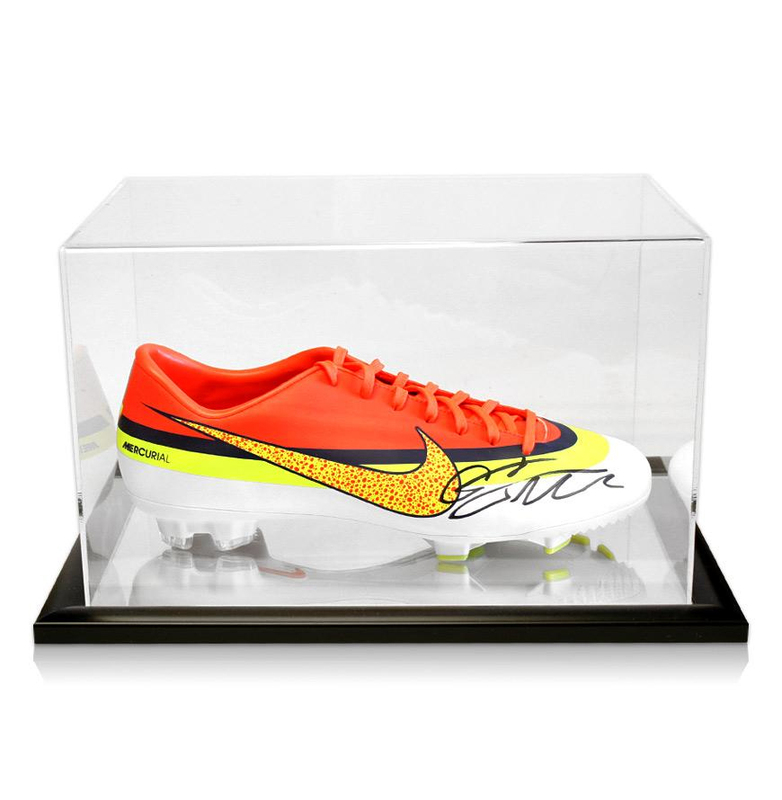 There are five suggestions on there, one of which is a pair of signed Ronaldo football boots, apparently available for the bargain price of £309.99 from a sporting memorabilia website. It’s possible a 7-year-old will be disappointed later this month. Jonas on the other hand has scribed a short legal document with scores out of ten (tickets to a Chelsea match, 11.6/10: extreme giver satisfaction rating) stretching to 57 items. There is a pleasing variety of presents for reasonable prices, including a Lego Glow-in-the-dark Racing Car at an encouraging 8.4/10, and Some More BBQ Sauce From KFC: this not to be recommended at an all-time low score of 4/10. Specifics ensure that all expectations will be met: A Trip To Yo-Sushi at 7.45pm reaps 10/10, but please read the timings carefully for full point capture here. A donation of £100 will garner top score of 13/10. I should think so too. Floating around the middle of the list at a respectable 7/10 was Cardboard Box To Make A House Out Of, which was so surprisingly wholesome I had to check it for small print. 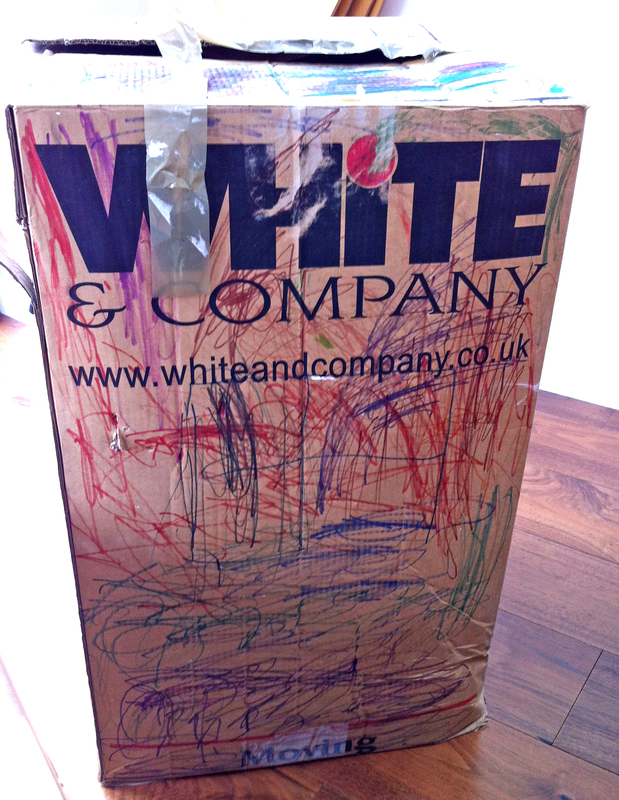 I did then remember that a few years ago we purchased a new washing machine, and the cardboard packaging from this provided hours of fun outside in the garden with some paints, some of which were used to decorate the box and transform it into a “house.” More pertinent for scientific study, this entry on the present wish list seems to confirm the old adage “Kids! 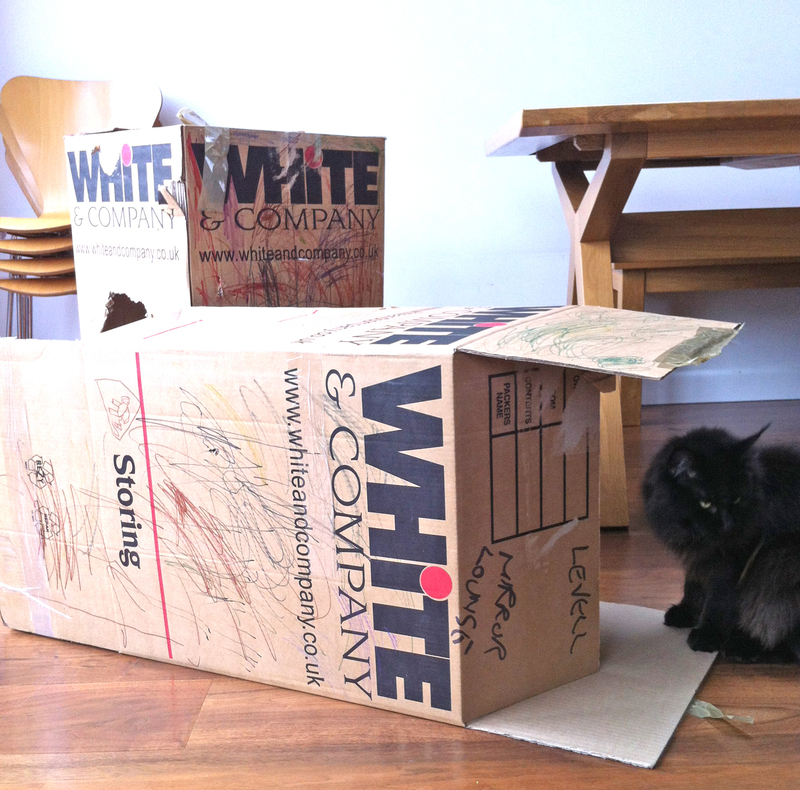 They spend more time playing with the box it came in!” I was about to proffer my new-found evidence to some market researchers as a tip for future manufacturing trends. 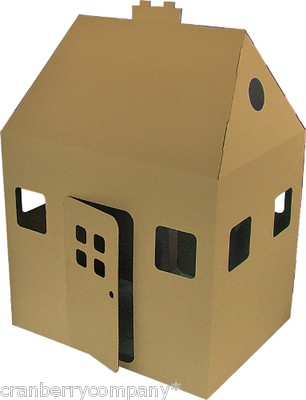 However it would seem that someone has already leapt on that opportunity: you can purchase a cardboard house from eBay for your child to decorate and play in. Really! And only pay £32.99. Through the keyhole. Who would pay for a house like this? 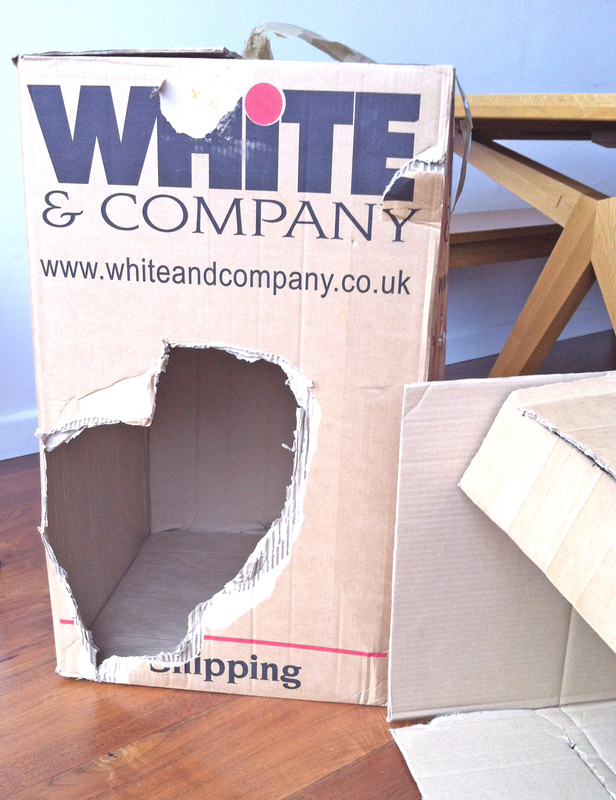 Almost hyperventilating at the cynicism of the toy profiteers, I ventured down to the cellar to find a couple of the large removals boxes we had managed to empty of old CDs and junk. A little soggy around the bottom (the one and only link our cellar floor may have with The Great British Bake-Off), they were nevertheless huge and housey. Which was just what we wanted. In a fit of generosity I brought them up into the kitchen before birthdays for general craft and decoration fun. A little parental involvement became necessary around the door and window cutting, thankfully intercepting Malachy’s attempts at slash and stab with a table knife before too much blood was lost. 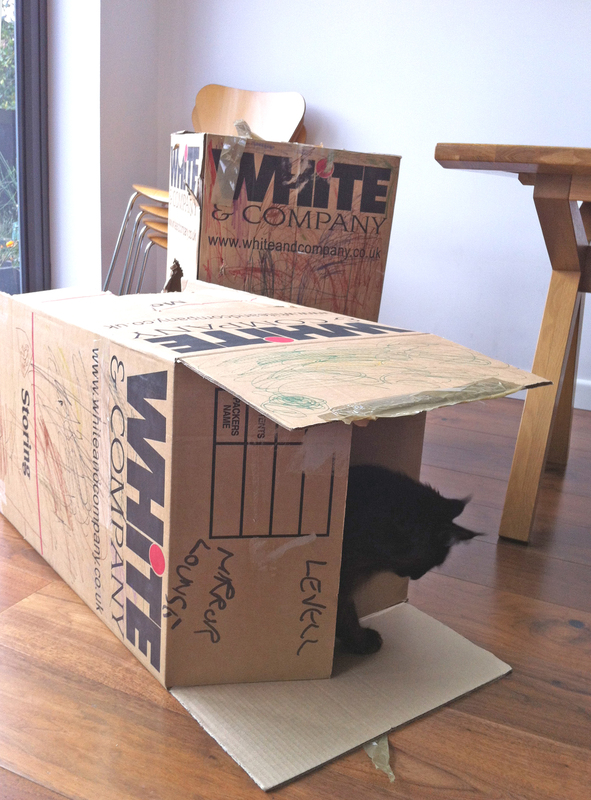 Now the yellow felt pen is apparently officially ‘run out’ and actually the cat has played more inside the boxes than anyone else, but for an afternoon of creativity these worked perfectly. And Jonas’s present list is now down to 56 items.